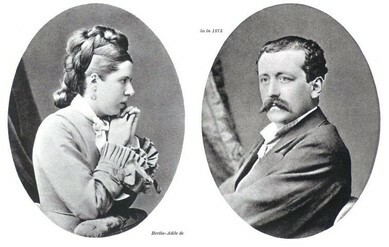 Berthe Adele Teilhard de Chardin with her husband, Emmanuel, parents of Pierre Teilhard de Chardin. This weekend is the Fourth Sunday of Easter. The readings can be found here. The themes involve teaching and guiding early Christians by Peter and the image of Christ as the Good Shepherd. These themes are excellent as Sunday is also Mother’s Day in the United States, Canada and many other countries around the world. Mother’s are the first and primary instructors of faith in many families around the world. They introduce children to faith but more importantly they are living examples of Christ in their teaching, healing and service to others. My own Mother was and still is a huge role model to me. She was the first her family to go to college and she always emphasized the importance of education and continual learning. She was a professional woman in an era where there was still suspicion of how someone could be a “good mother” while having a career. She was always there for us when he had minor scrapes or needed cheering up. She takes amazing care of my father who has had health issues. She is a tremendous grandmother who loves playing the role of spoiling the grandchildren. In her “retirement” she works extremely hard at a variety of community activities from serving on the Parish Council to visiting the elderly to helping out at the local food pantry. Mom, you are an amazing woman and I thank you for being a great shepherd to me and the others you have encountered. On this Mother’s Day weekend in the United States, here is a tribute to all of the mother’s around the world. This entry was posted in Sunday Reflections and tagged 4th Sunday of Easter, Berthe Adele Teilhard de Chardin, Easter, Easter Season, Fourth Sunday of Easter, Mother's Day, Pierre Teilhard de Chardin, teilhard, teilhard de chardin. Bookmark the permalink. As a mother, I thank you. Here’s to so many wonderful mothers William! Thank you for honoring them.